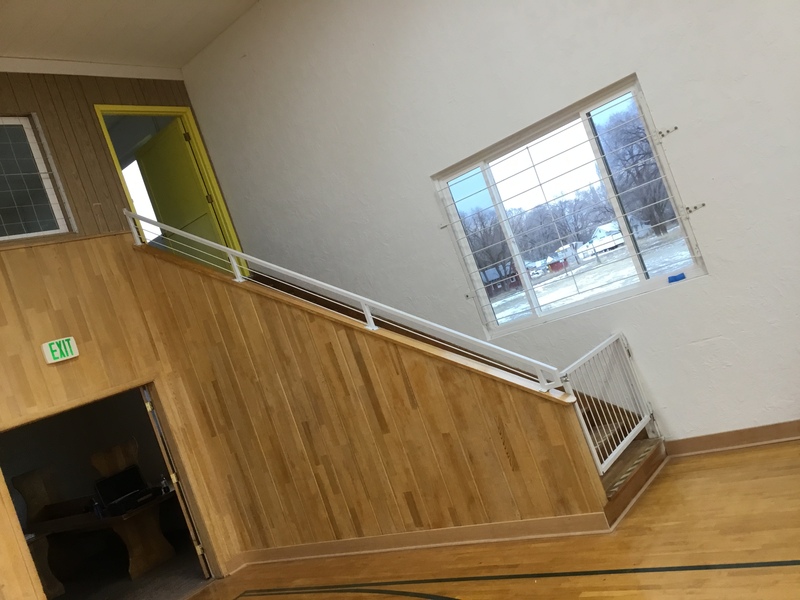 In January of 2017 we were approached by an insurance adjuster regarding a large amount of snow on the Drewsey School gymnasium roof. 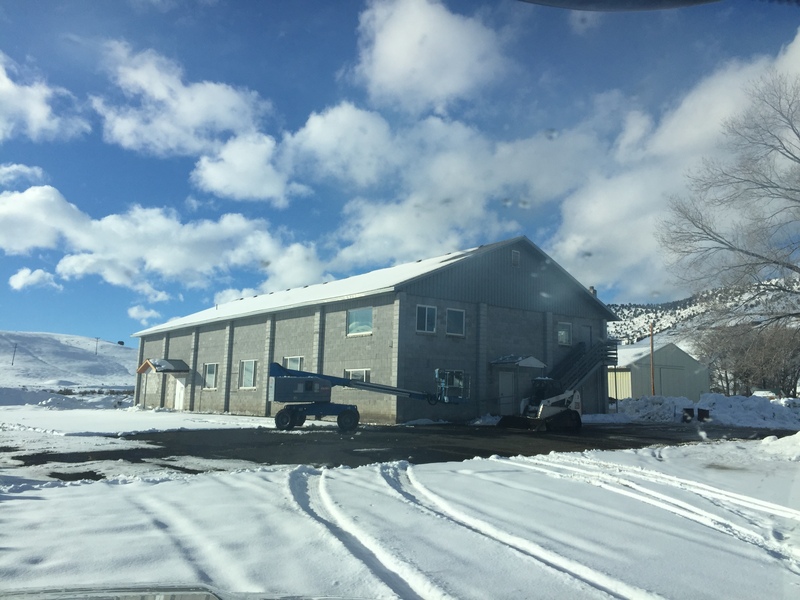 They informed us that due to the weight snow, the roof was on the verge of collapsing and needed assistance as soon as possible. 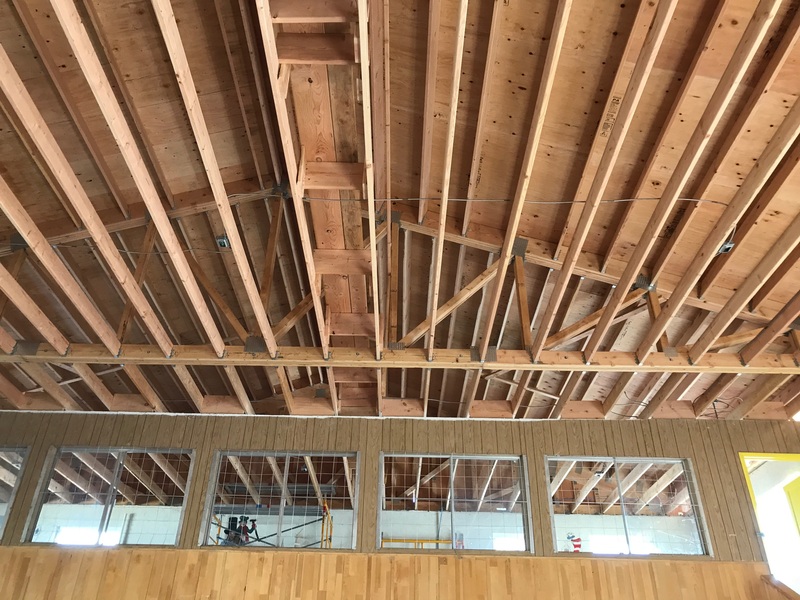 After removing all the snow on the roof, our carpenters noticed cracks in the ceiling. 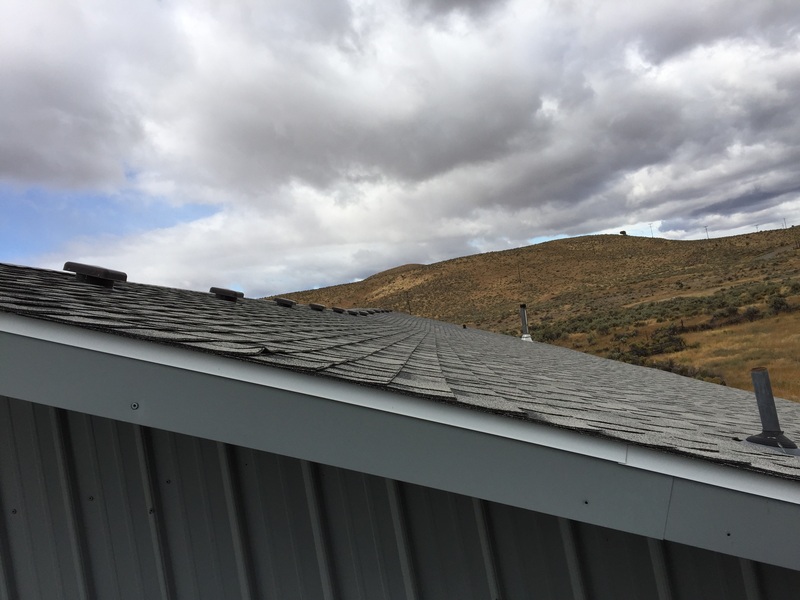 Upon further investigation, we found the roof to be badly damaged from the heavy snow. 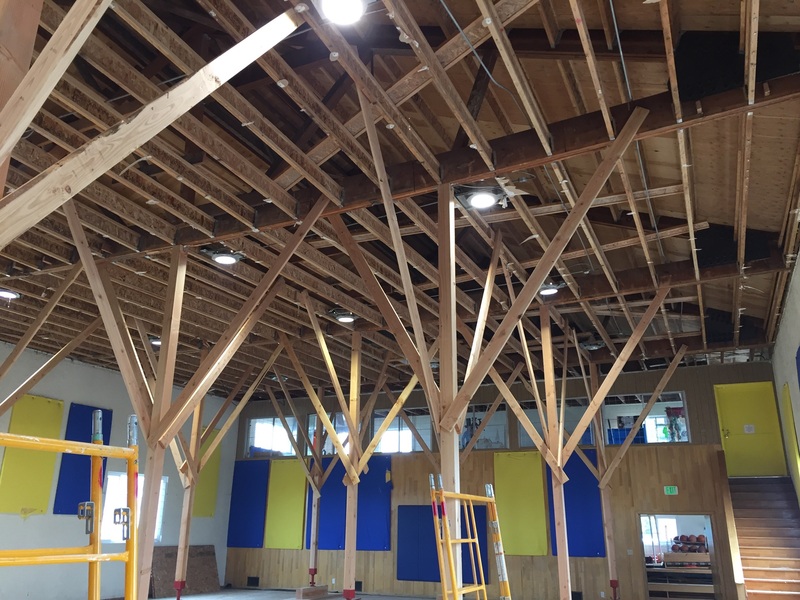 We asked a structural engineer to confirm our findings, and they agreed the roof would need replacing. 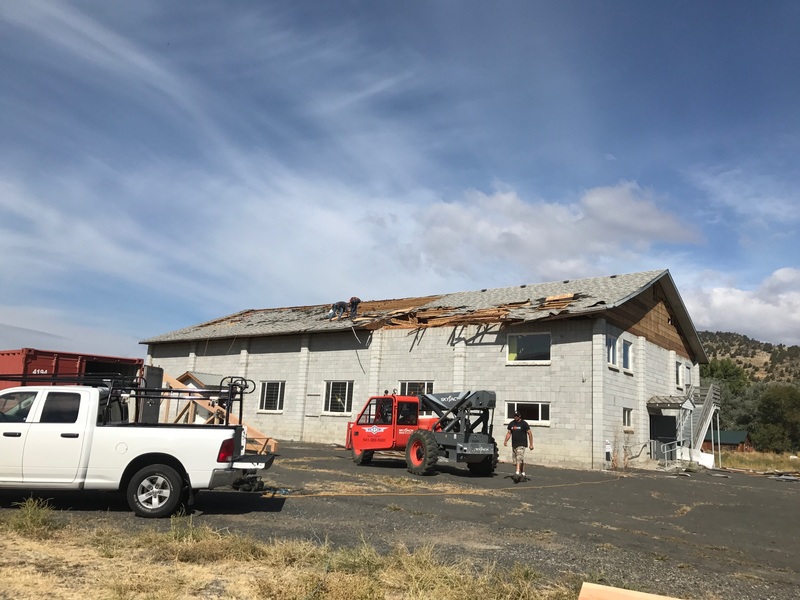 Our team wouldn’t be able to replace the roof until all the snow melted. 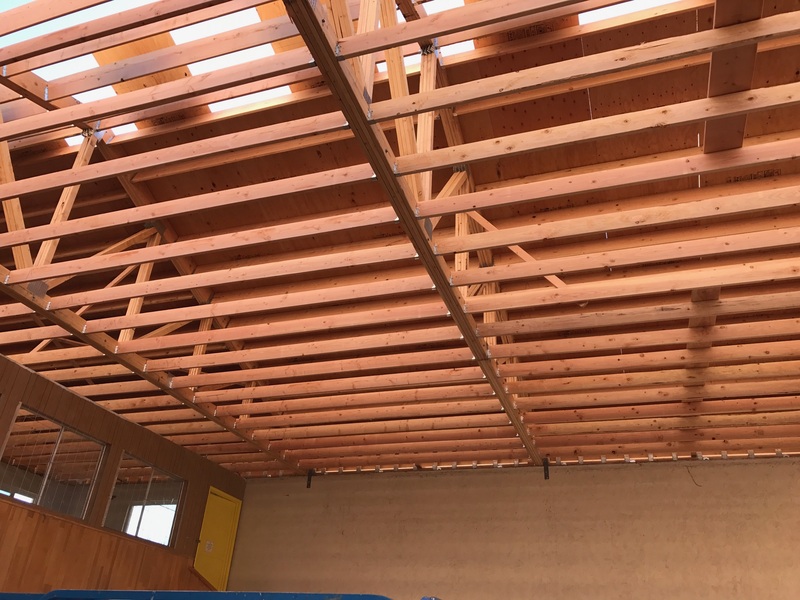 So as a temporary yet efficient fix, we shore up the inside of the existing roof so it wouldn’t cave in completely. 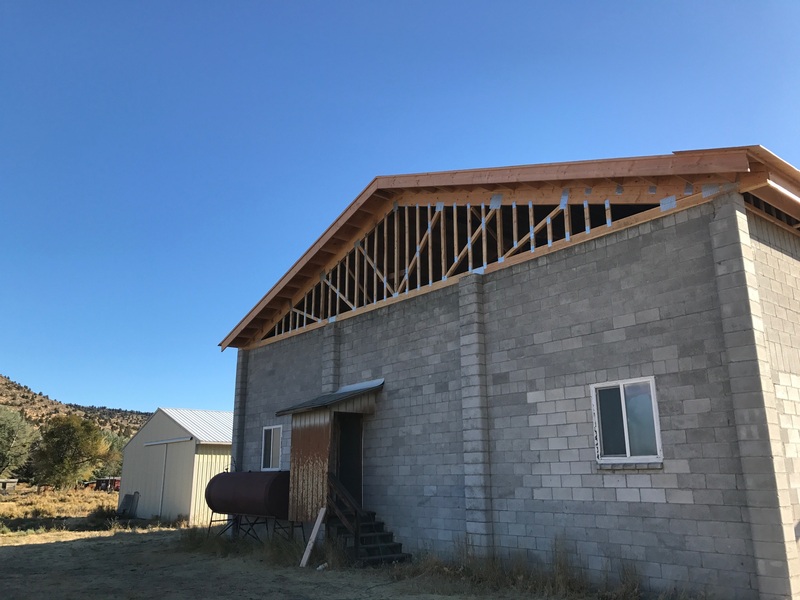 In the meantime, the engineer worked with an architect to draw up plans for a complete roof/truss replacement come the spring. 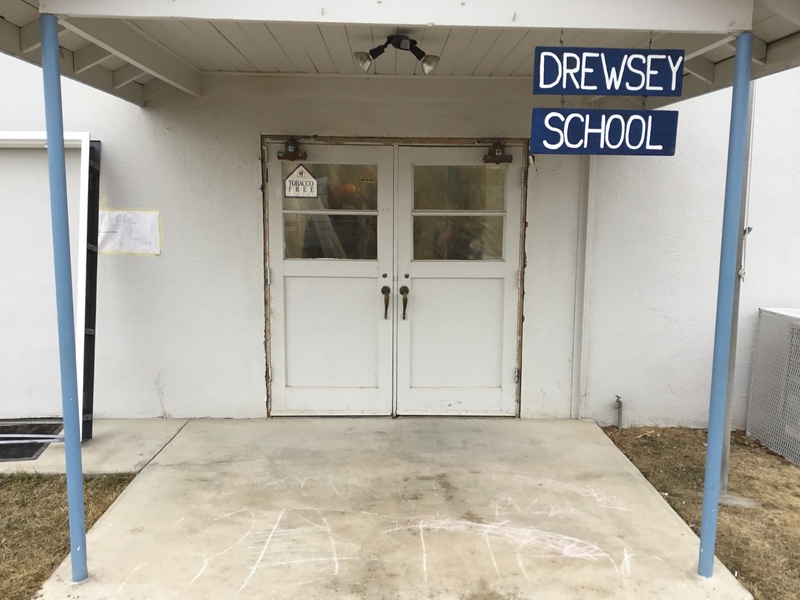 Once the snow was gone and the weather improved, our team drove back to Drewsey to begin the restoration process. 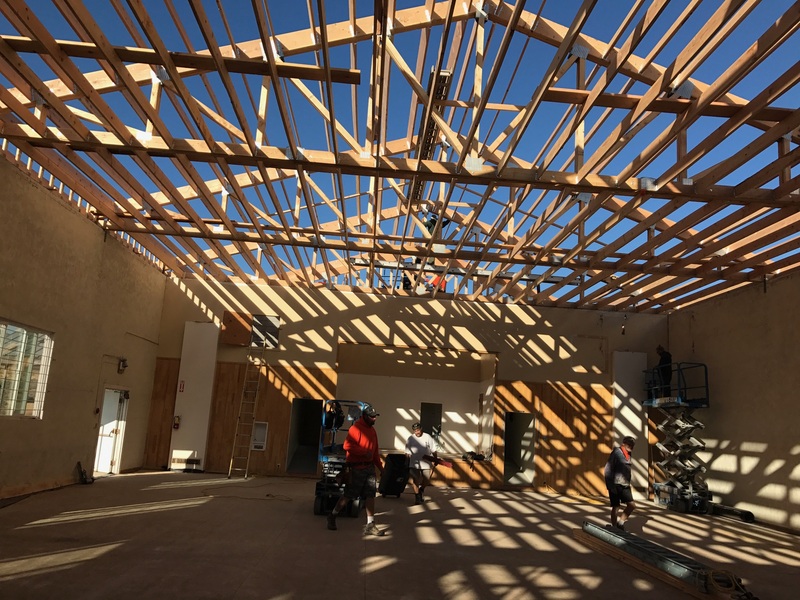 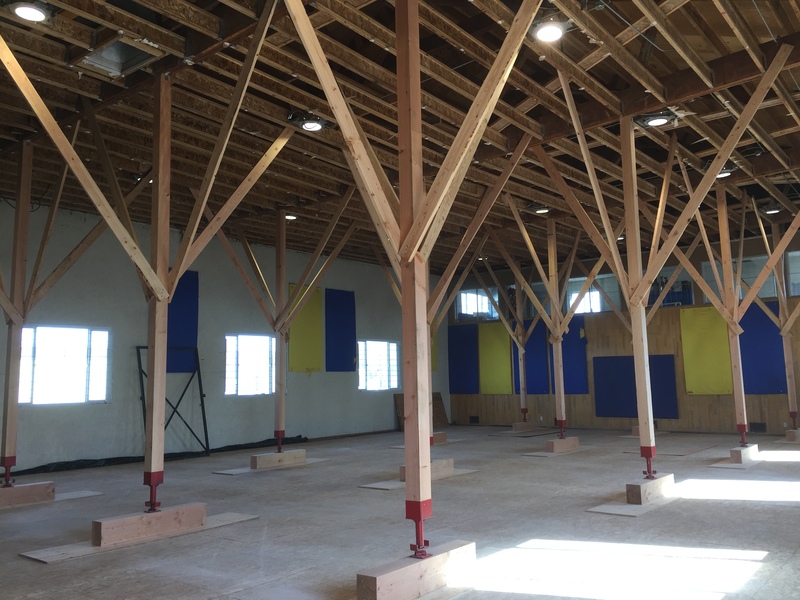 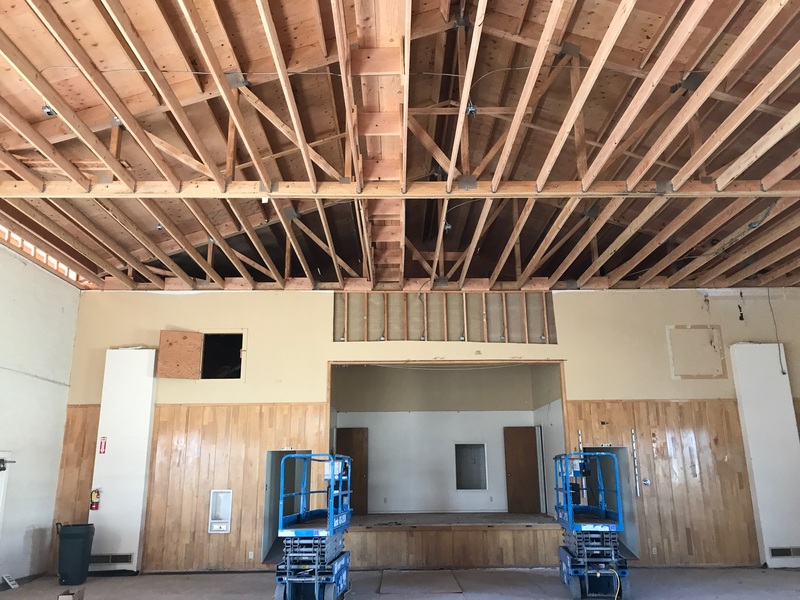 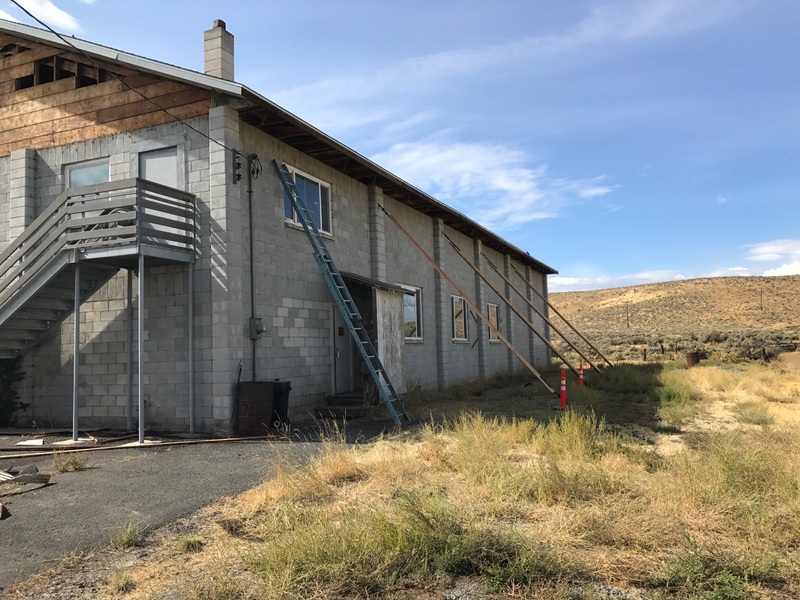 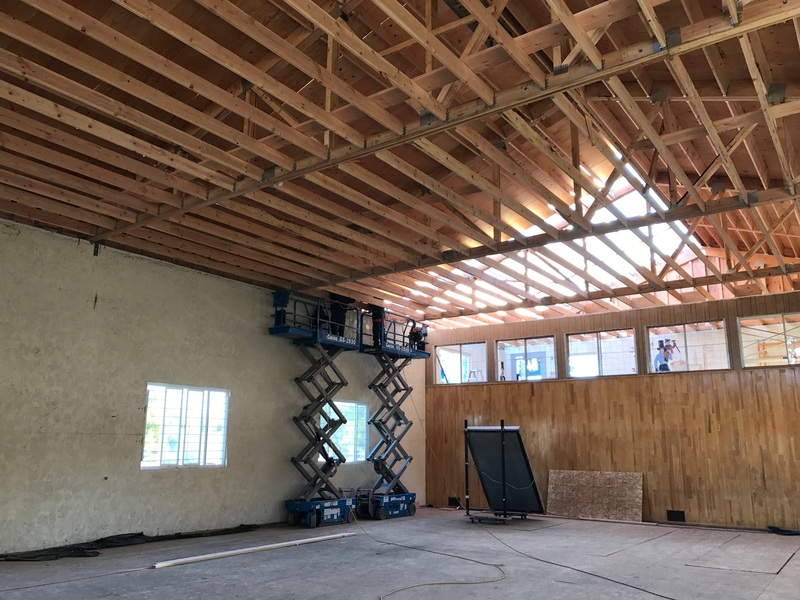 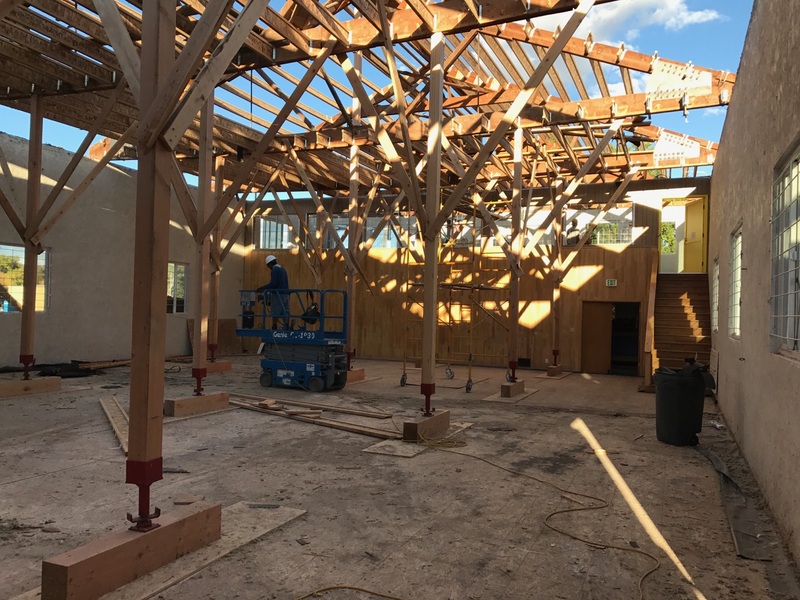 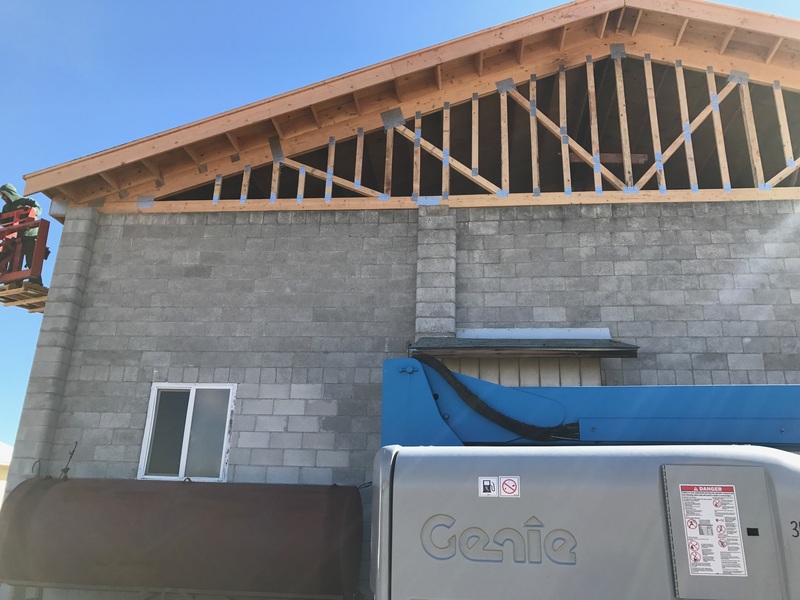 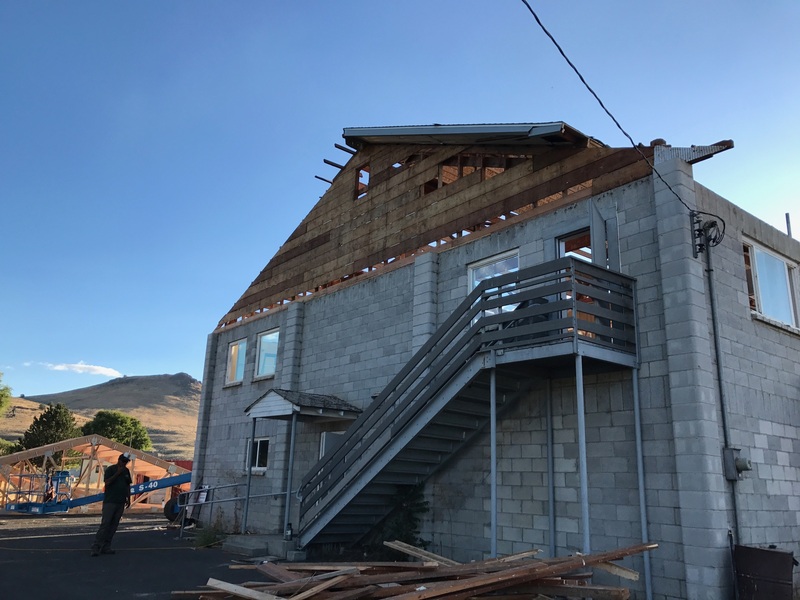 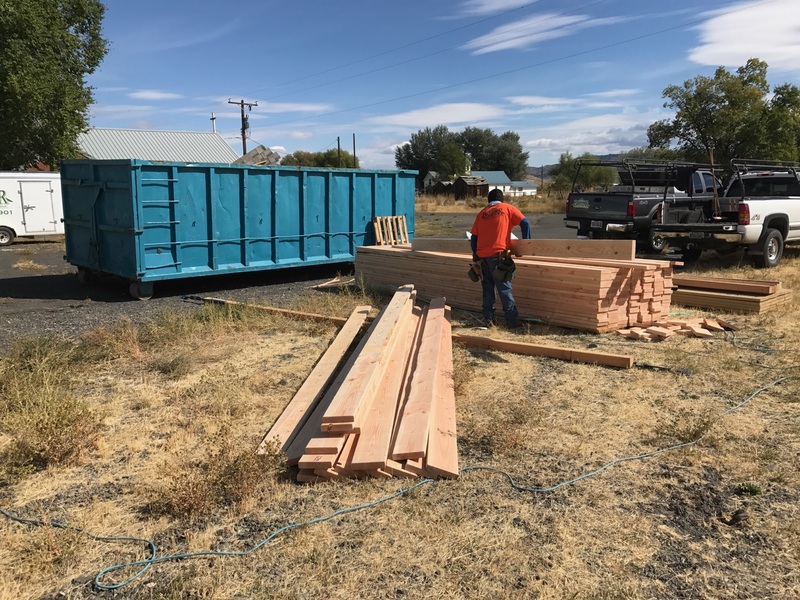 Since the roof needed a complete replacement, our carpenters began by demoing all of the existing roof, trusses and rafters including the ceiling, electrical and heating elements. 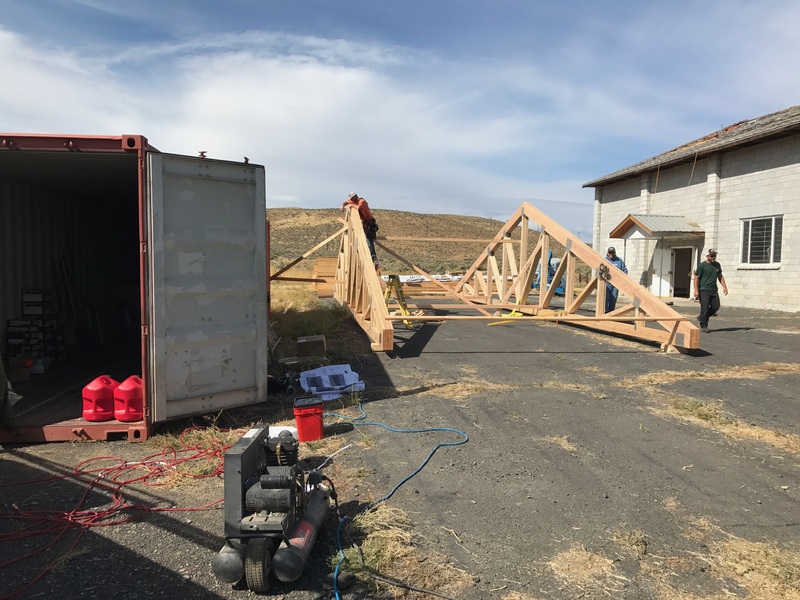 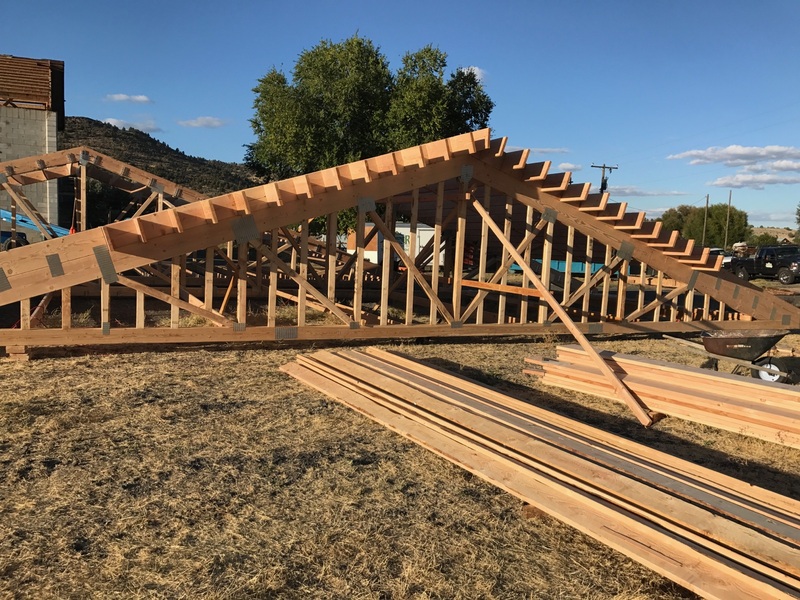 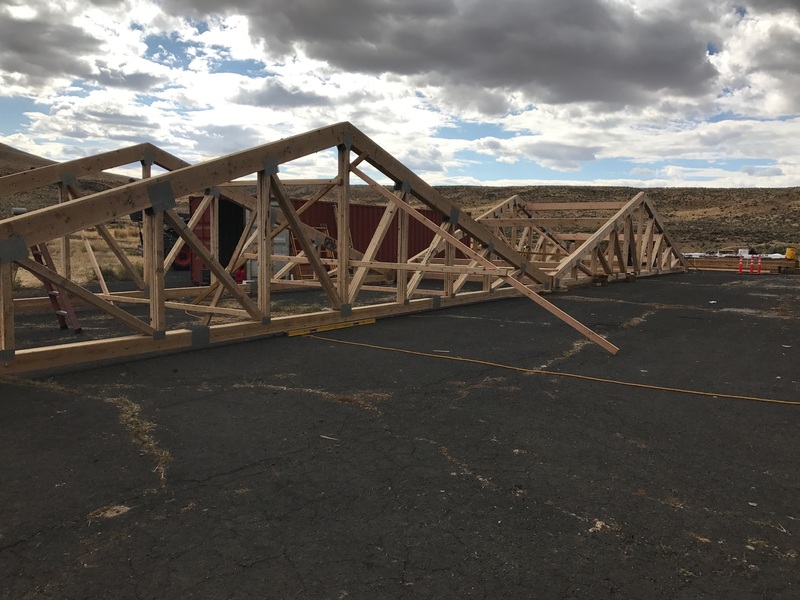 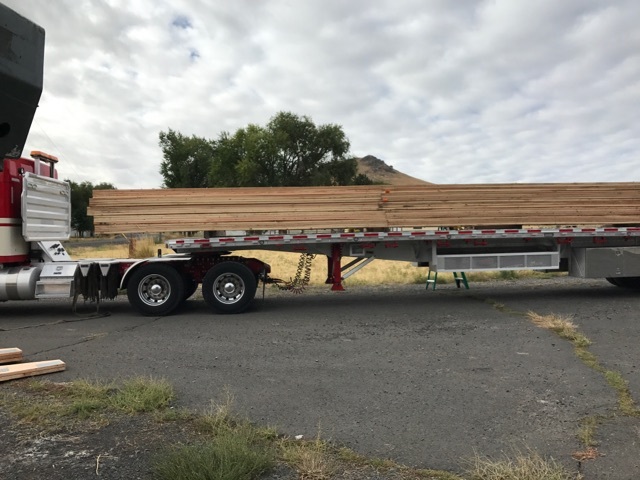 We had large trusses delivered and installed, and then began to rebuild the roof. 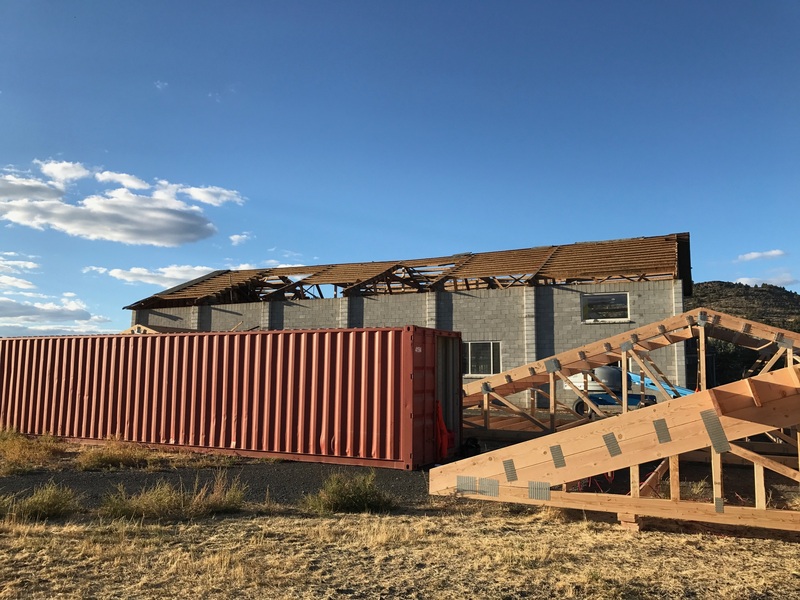 This time, we made sure to include ice and winter shields to help prevent a future incident like this one. 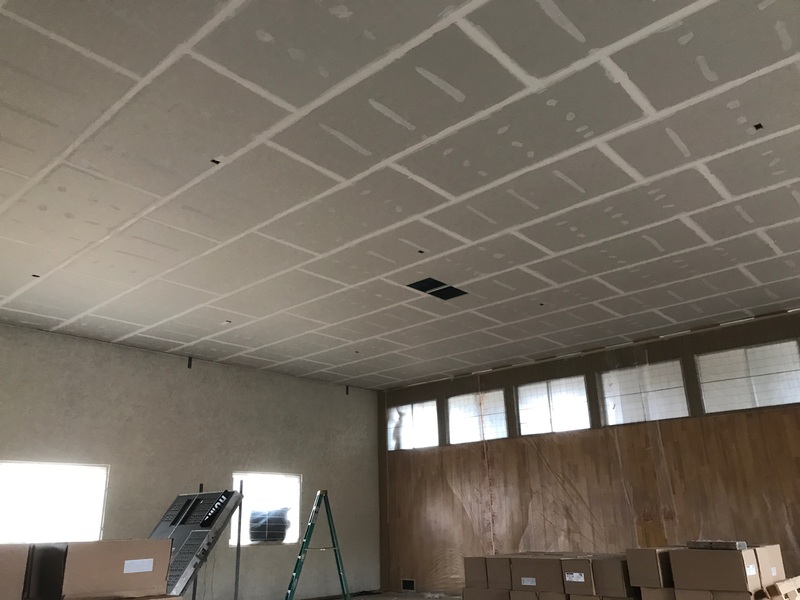 Now that the roof replacement was finished, we had an electrician rewire the electrical and lighting fixtures in the ceiling. 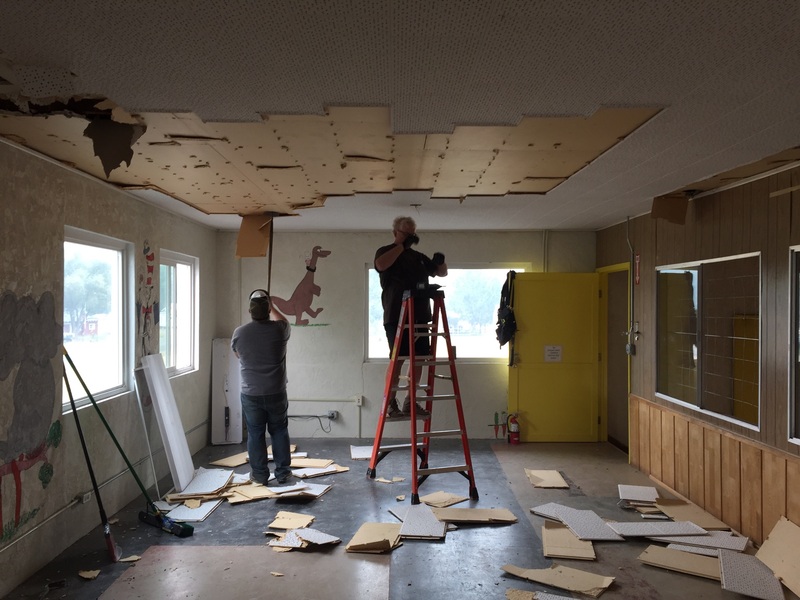 We also had new insulation blown into the attic space and new acoustic ceiling tiles installed for sound control. 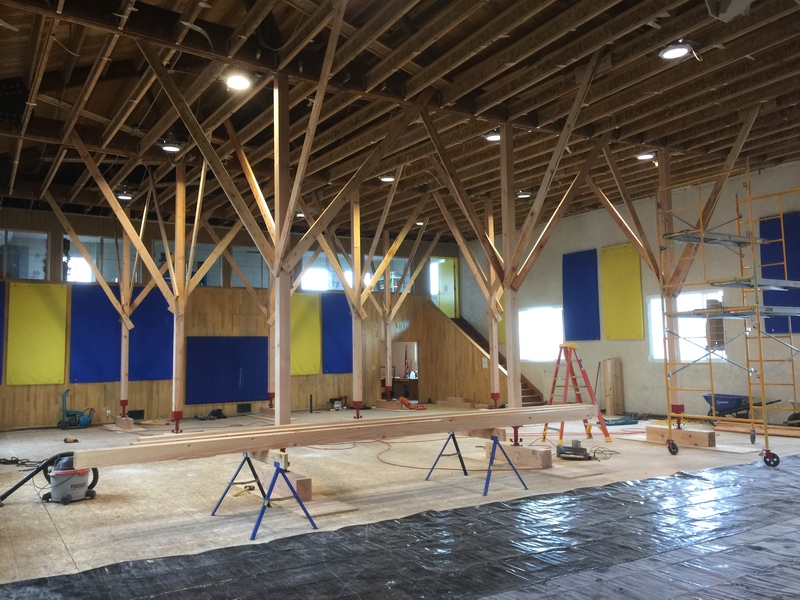 Finally, we had the interior walls prepped and repainted and the basketball hoops and scoreboards reset. 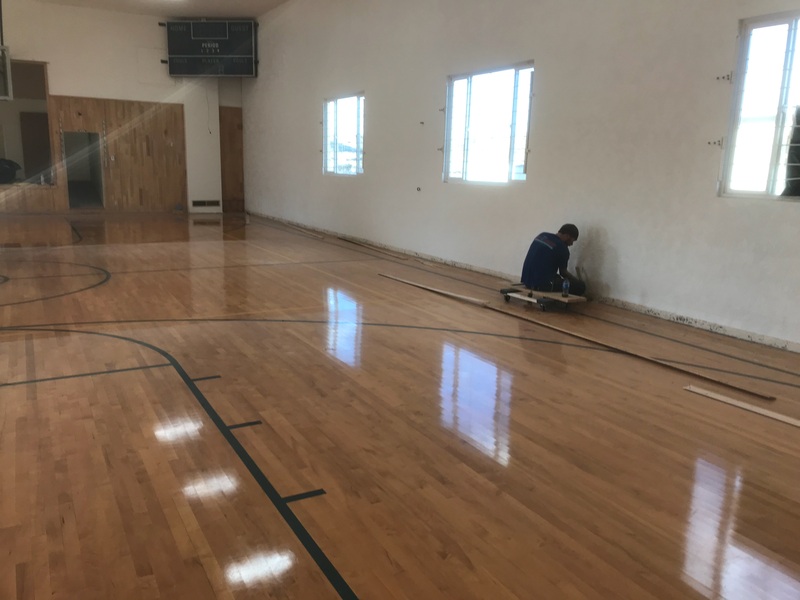 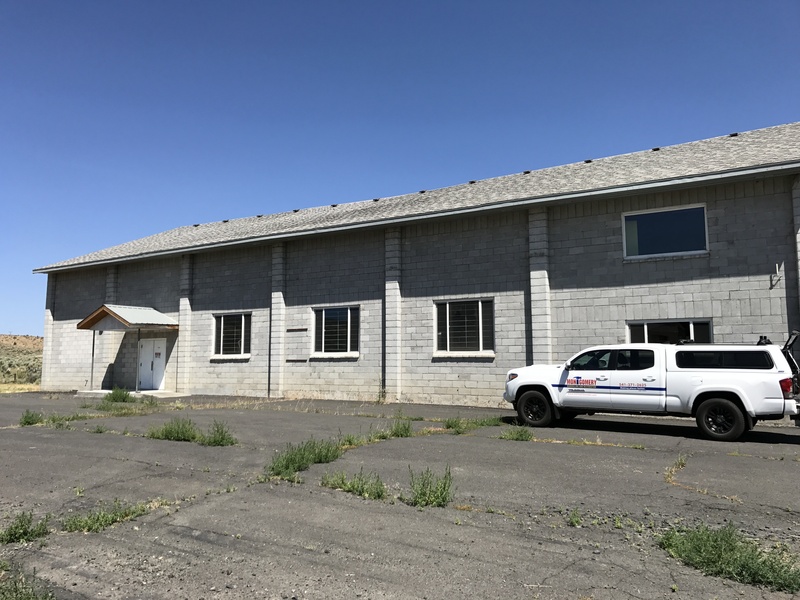 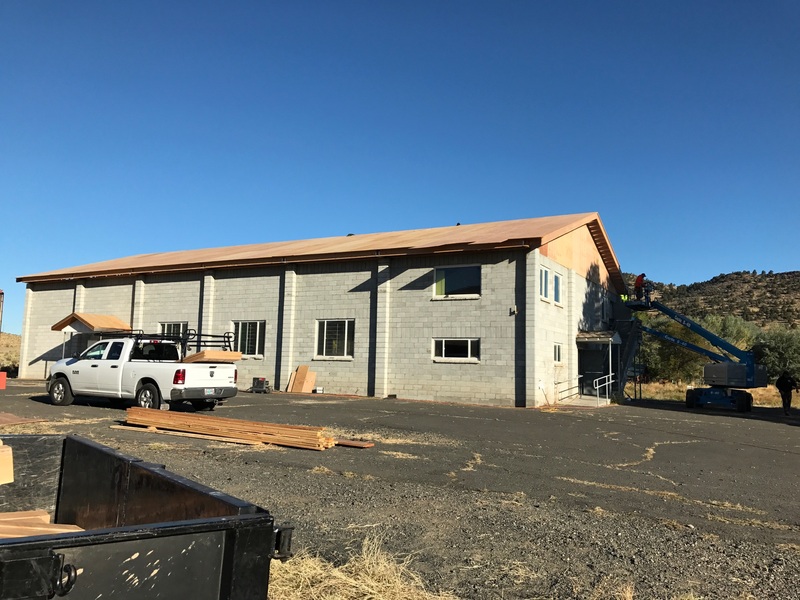 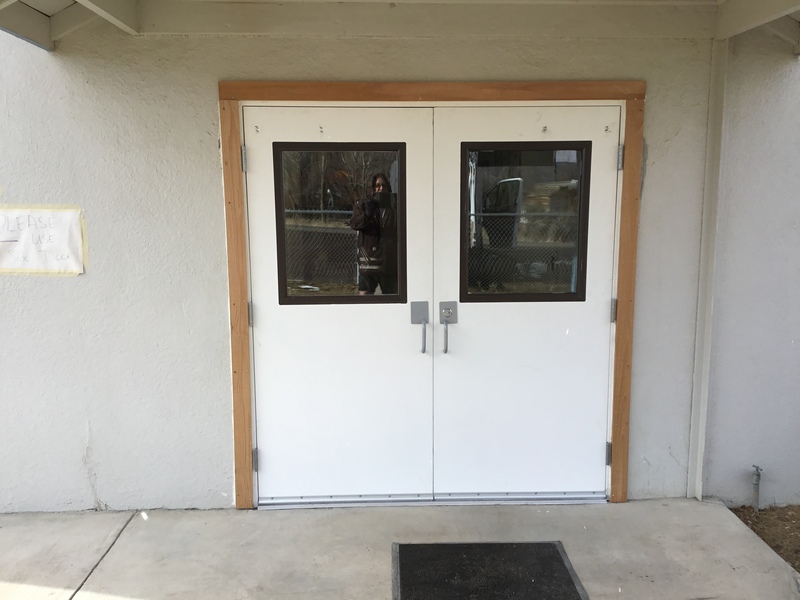 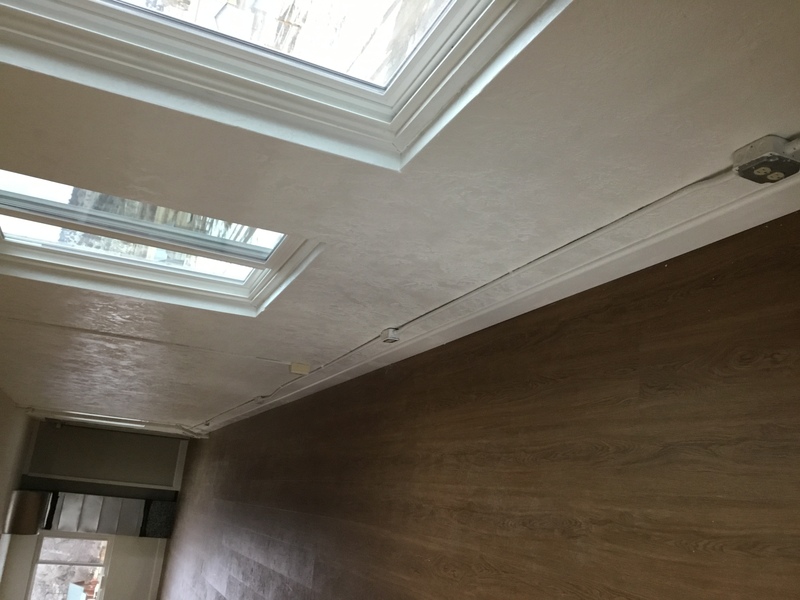 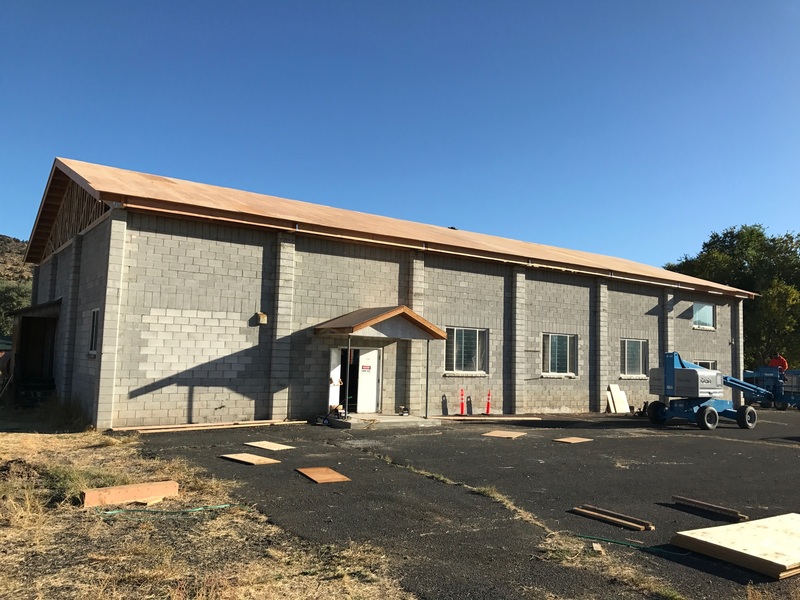 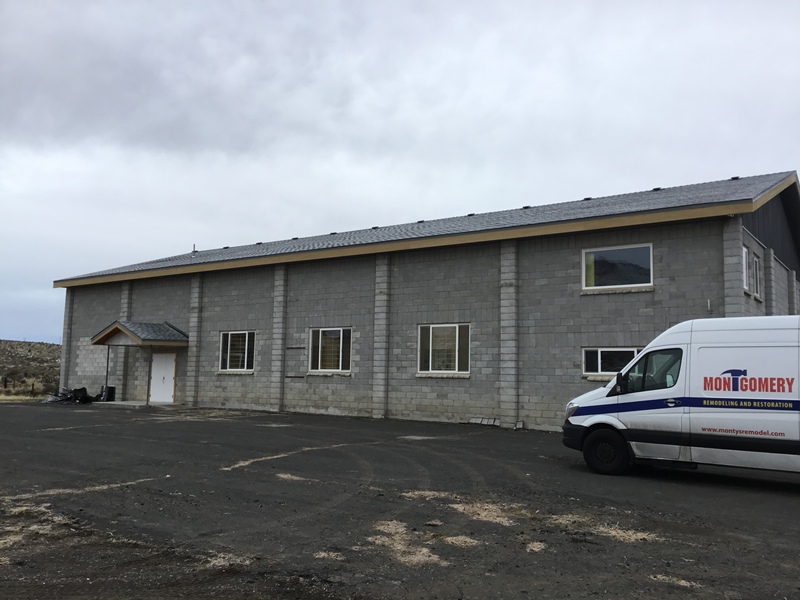 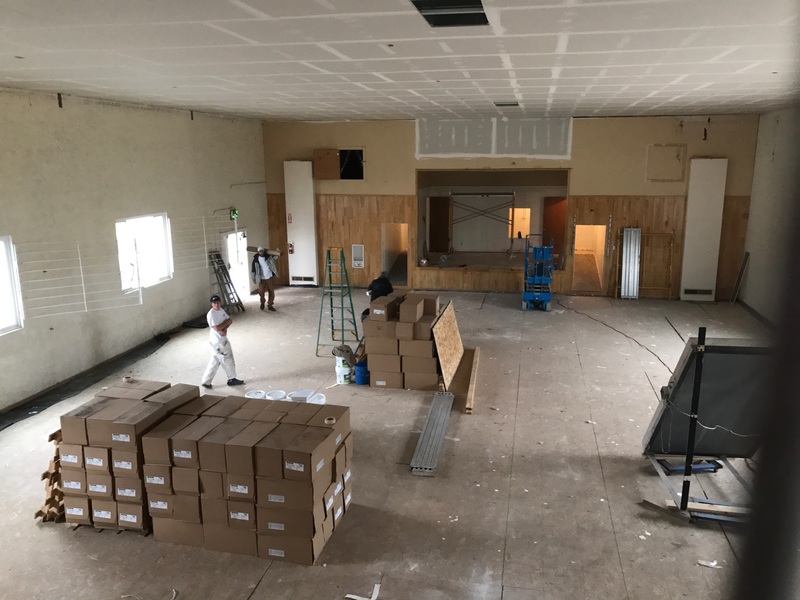 As a few extras to keep the gymnasium up-to-date, we installed all new windows, remodeled the kitchen and storage area with all new COREtec flooring and plan to repaint the exterior this spring. 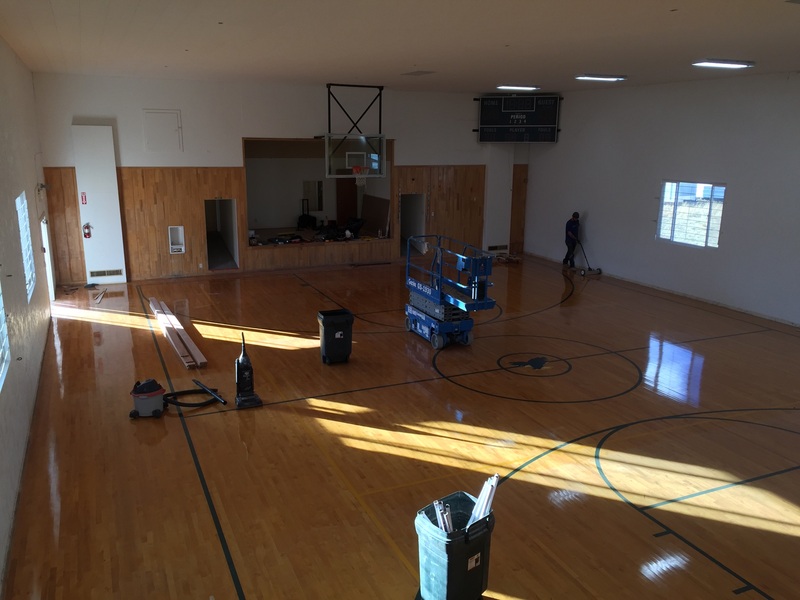 We’d like to thank everyone involved in the process to restore the Drewsey School gymnasium. 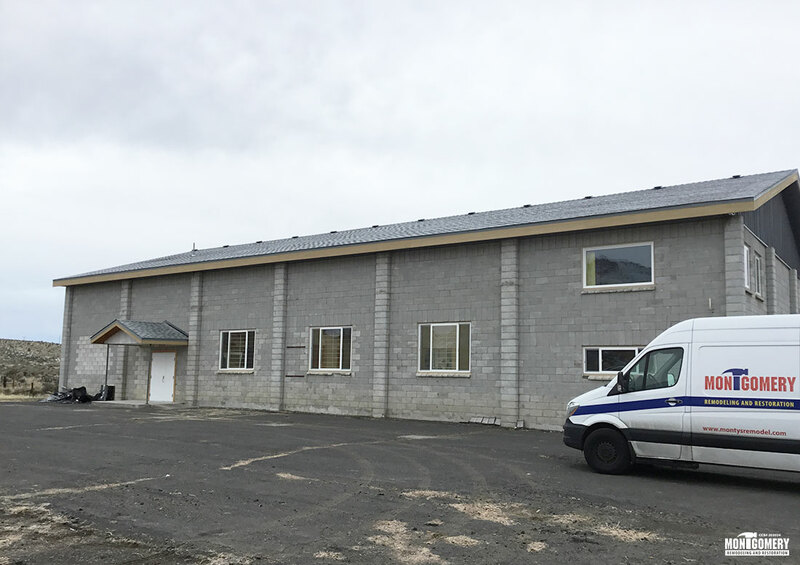 While one of our largest projects yet, it was very gratifying to be able to rebuild an important building of the area. 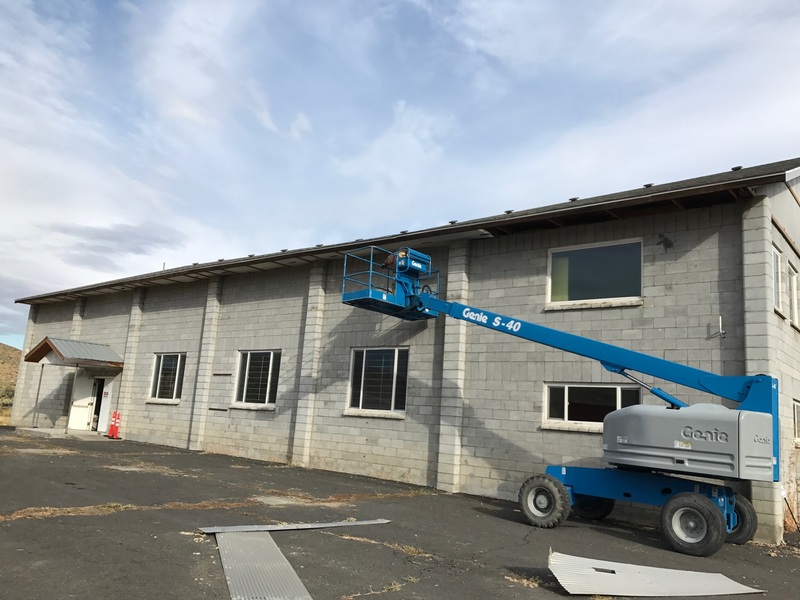 We look forward to seeing the final results when the painting is completed. 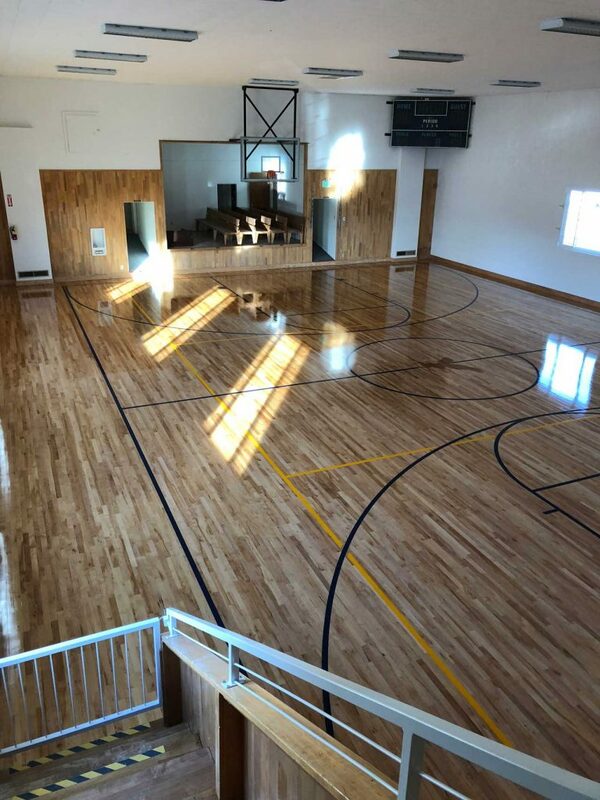 The new gym floors have been finished!